Marionette scene in the christmas play "The Three Magi." 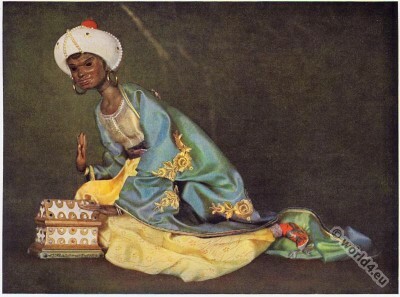 “The Moor .” Marionette scene in the christmas play “The Three Magi.” By Richard Teschner, 1925. This entry was posted in 20s, 20th Century, Fantasy costumes and tagged Dolls, Fantasy Costumes on 11/25/14 by world4.